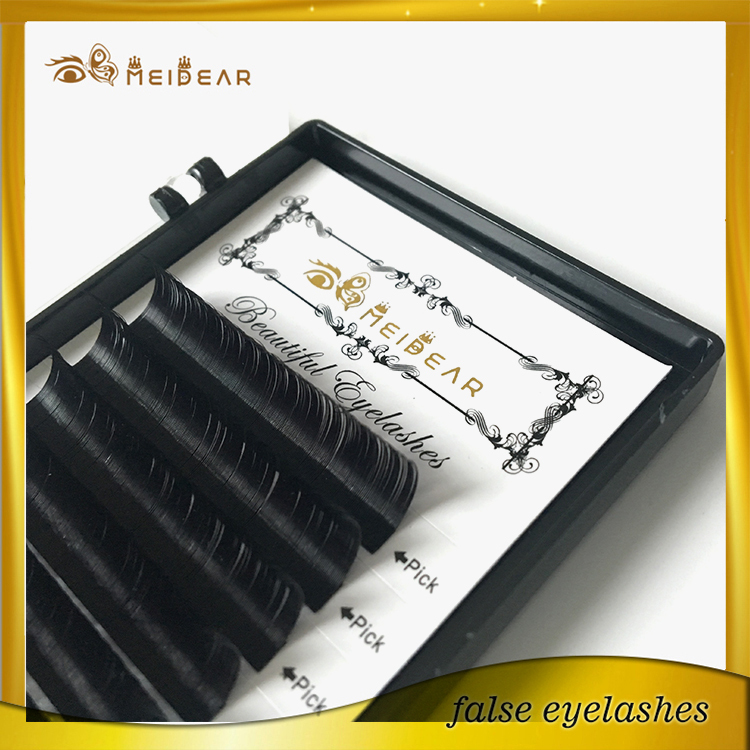 Eyelash extensions are becoming more and more popular.Meidear eyelash provides eyelash extensions in Korean PBT fiber material.Enhance your eyes without the mess and fuss of mascara,and get a more natural lookig effect is our mission. 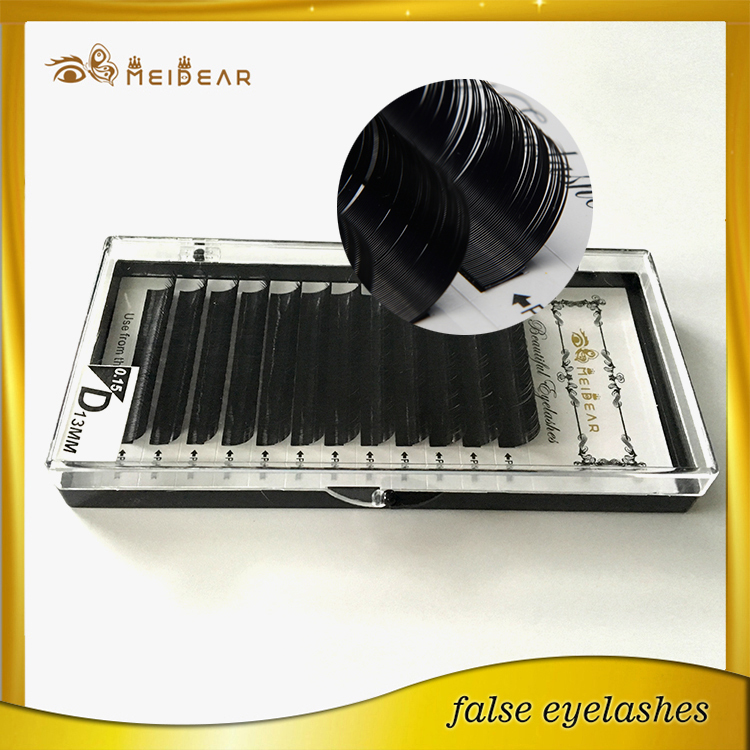 eyelash extension slgon, long-lasting Korean PBT fiber eyelash extension, high quality natural looking korea PBT fiber eyelash extension. Eyelash Extensions are a popular new product that lengthens and thickens your own natural lashes. 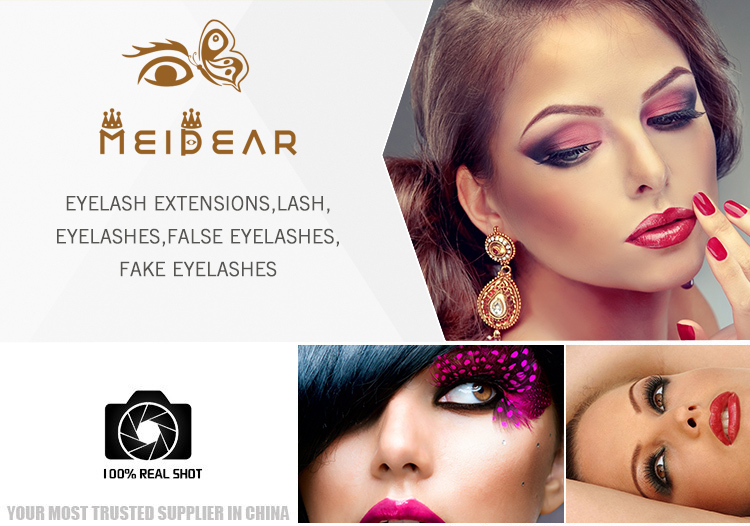 Meidear high quality eyelash extension are single strands of Korean PBT fiber eyelashes that are curved to replicate a natural lash. 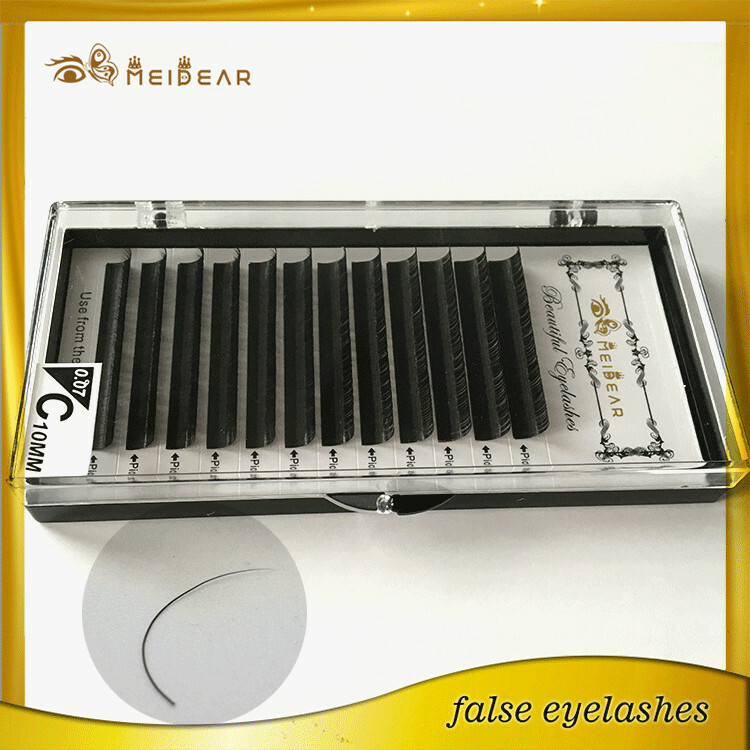 As these material are the best quality ones, so they will be the most long-lasting eyelash extenstions.It's the best choice for eyelash extension slgons. 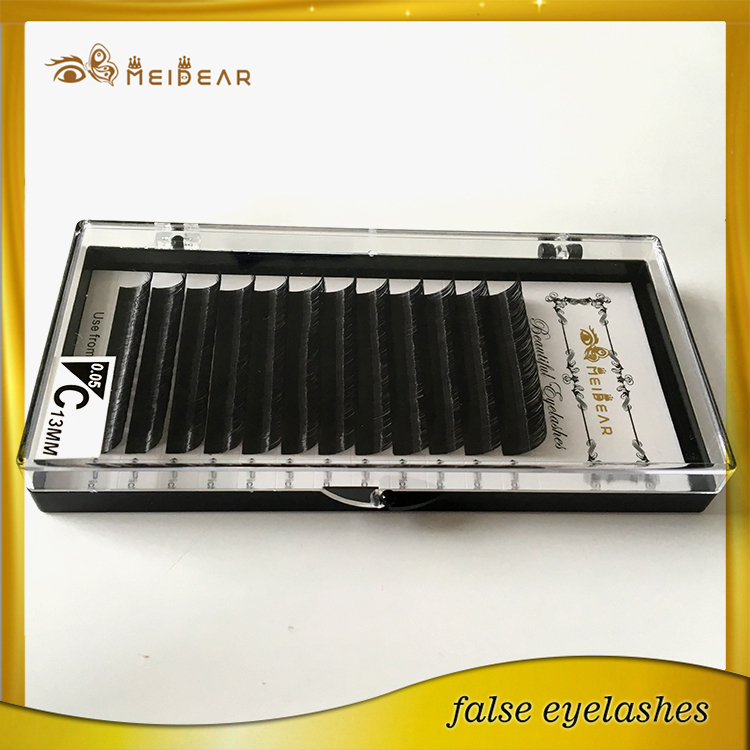 These eyelash extesnions are applied to each individual eyelash with a specially designed bonding agent for a natural, beautiful and luscious look. 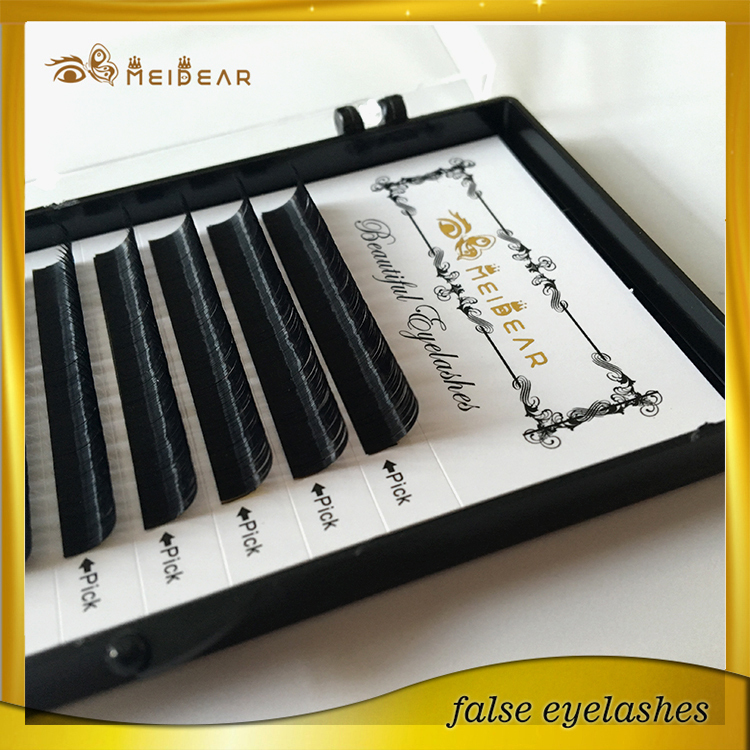 They are virtually weightless and will not damage your natural lash so you can choose to wear them permanently. 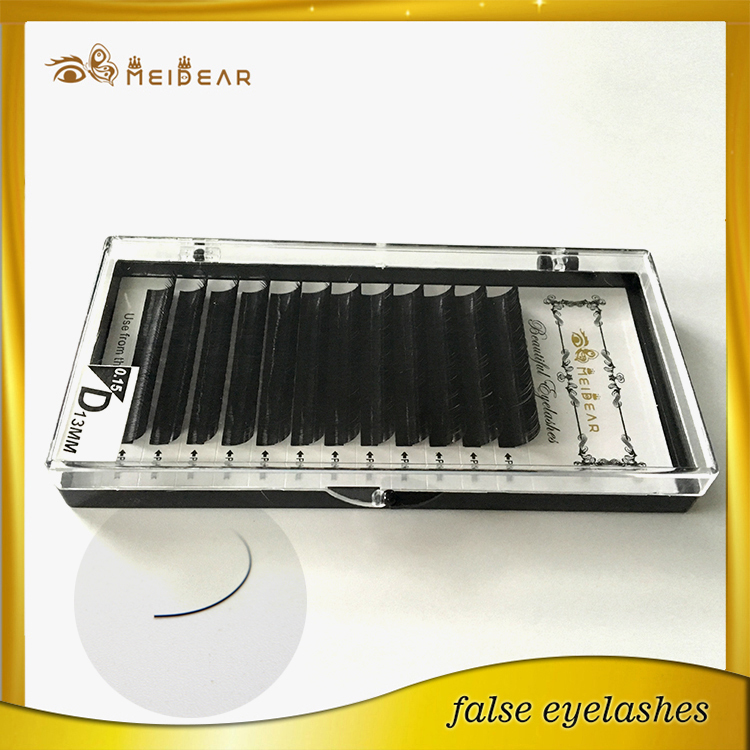 The thicknesses we supply are 0.05mm eyelash extensions, 0.07mm eyelash extensions, 0.10mm eyelash extensions, 0.12mm eyelash extensions, 0.15mm eyelash extensions, 0.18mm eyelash extensions, 0.20mm eyelash extensions, 0.25mm eyelash extensions, and 0.30mm eyelash extensions. 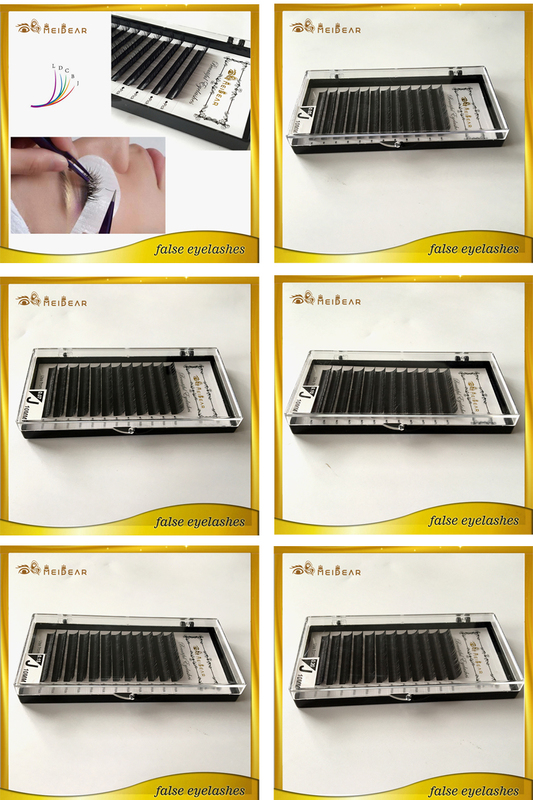 If you wanna learn more details, please click here to contact us. 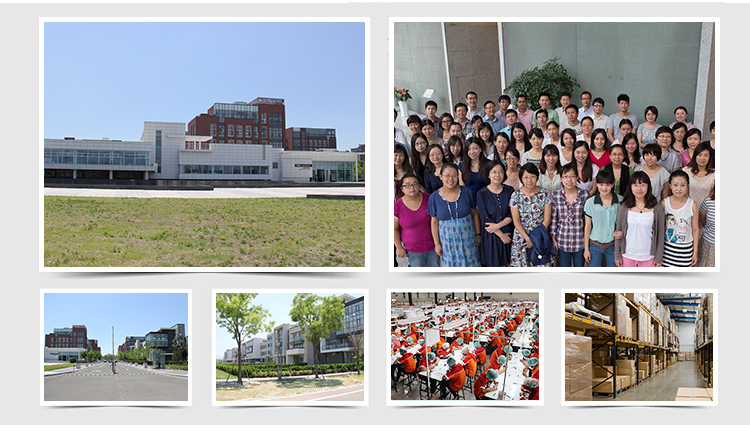 We cooperate with many shipping companies and forwarders; our cargo also will be ship out by sea or by train.